Football and Specials in the Bar All Weekend! Both Los Angeles NFL Teams are in the Divisional Round this Weekend. 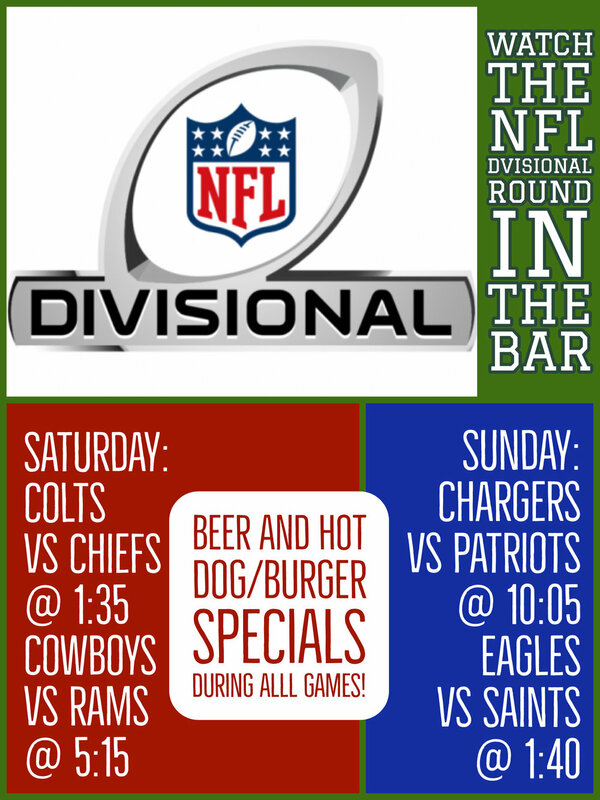 Watch With us in the Bar Saturday & Sunday. Beer & Hot Dog/Burger Specials!